It is a logical step. 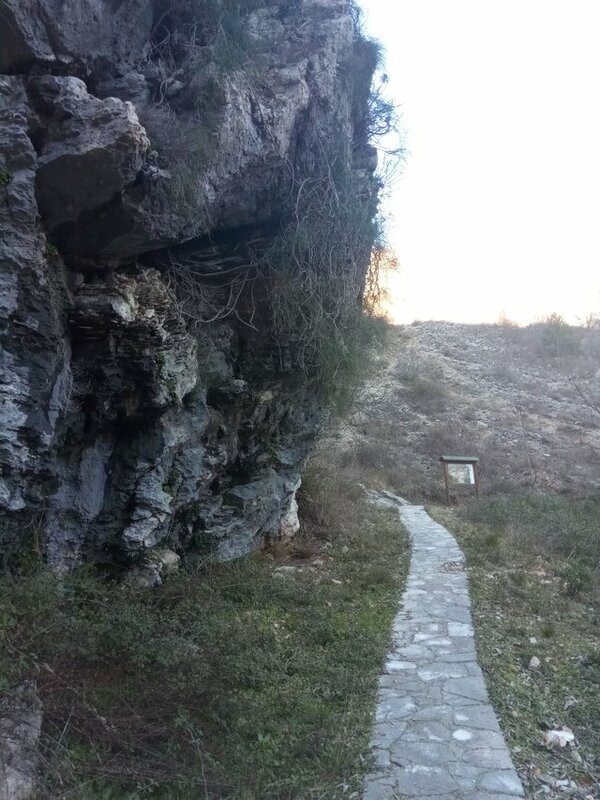 After writing about the source of the river "Tihaljina" it is natural to write about Ravlića cave. 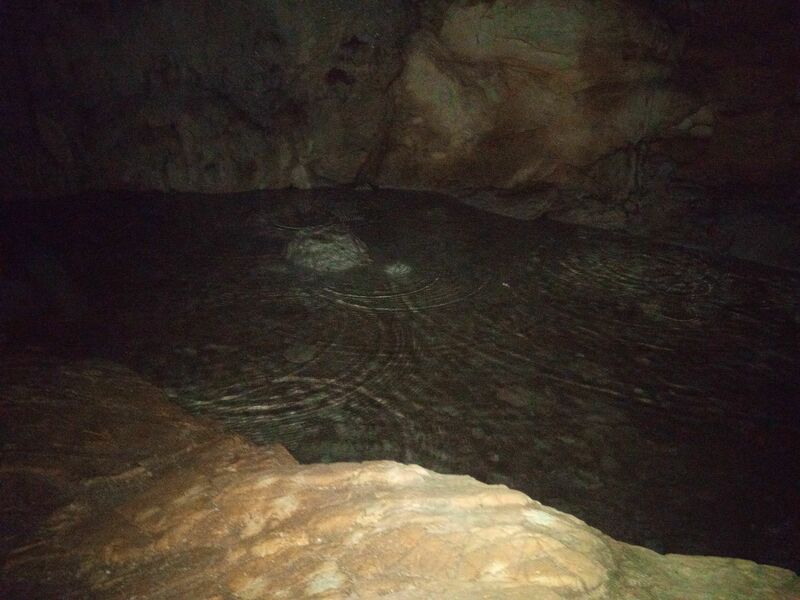 Ravlića cave is located near the source of the river "Tihaljina". 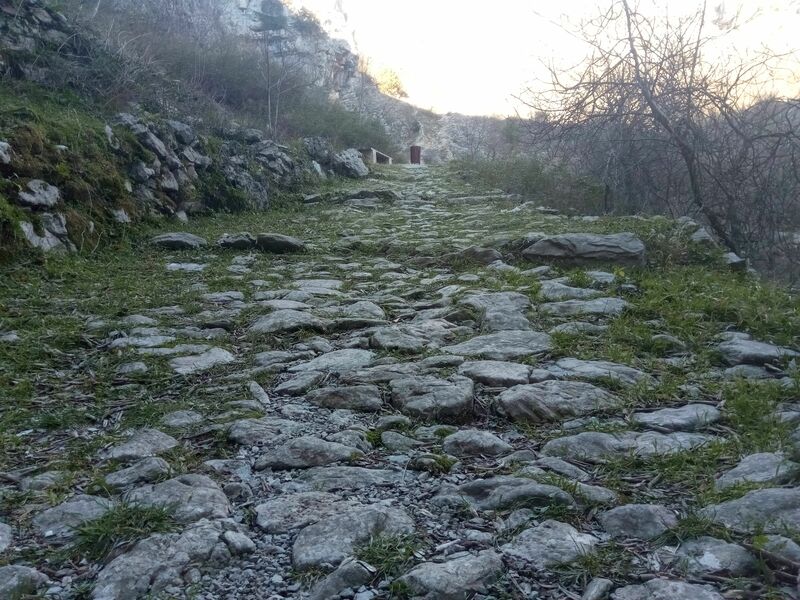 The easiest way to get to his cave is going west from Hydropowerplant "Peć Mlini" (uphill road). Aw man going uphill is exhausting. What they want me to climb this no way I'm going around this!!!!!!!! 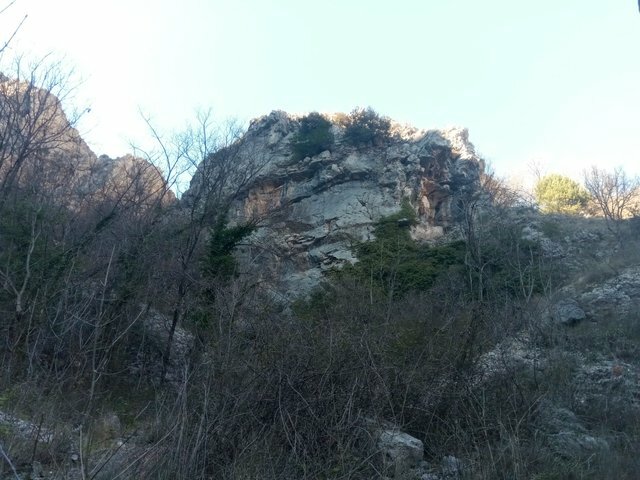 Actually, it is a free climbing rock (if you are in that type of fun). Yay!!!! Back on the main road. You can see a power plant in the left corner. And How high we are? 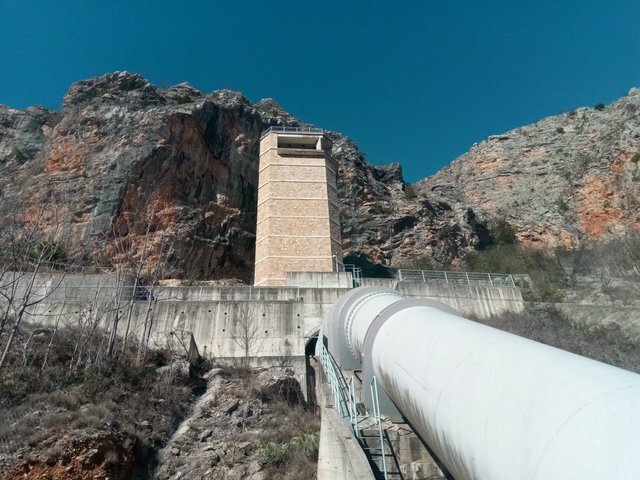 Remember that tower that controls the level of water during summer months? Here it is. There is a road for cars but I was already on foot so this was a shortcut. 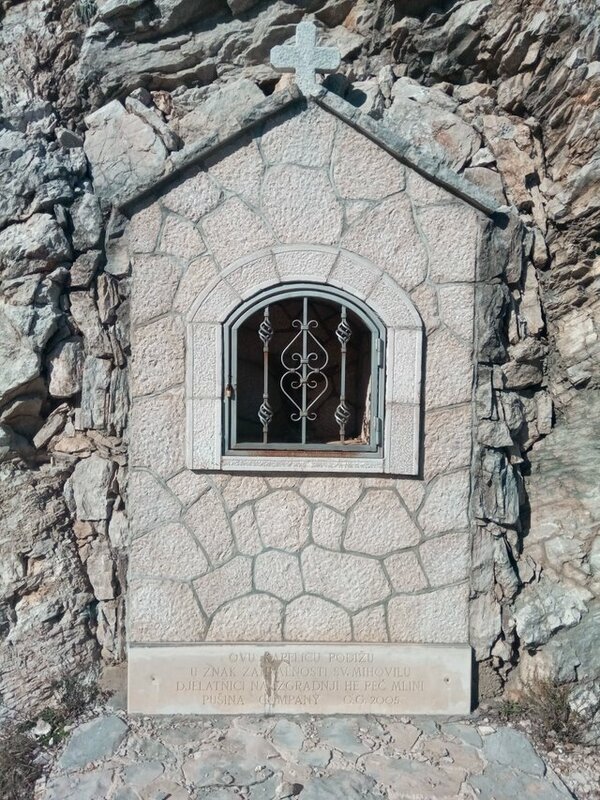 This chapel is raised in gratitude to St. Michael. Employees on the construction of hydropower plant Peć Mlini. 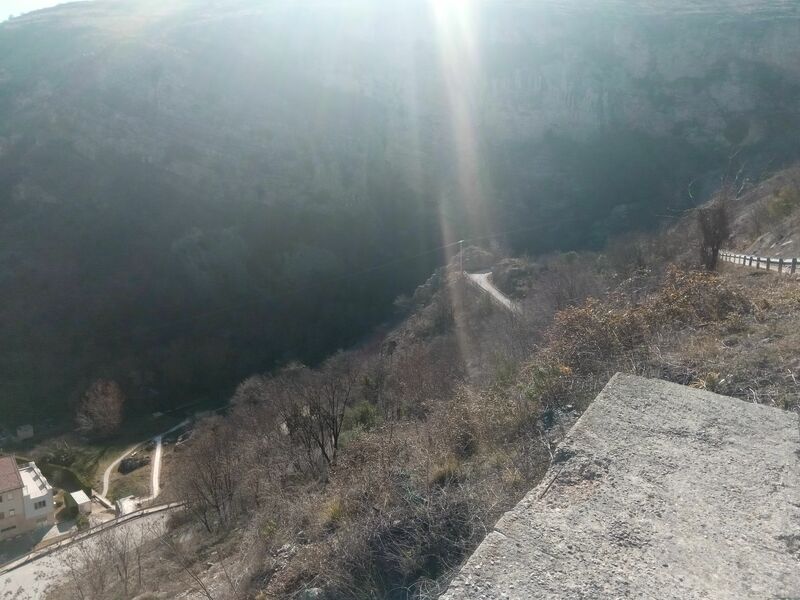 I sat down on the ground to waiting for my soul to return to my body (I'm not used to long uphill walks), and call my wife to bring a car up here. So where is that cave?I know it got a be here somewhere? The year 1975. the study begins in detail in Herzegovina, especially in its western part. 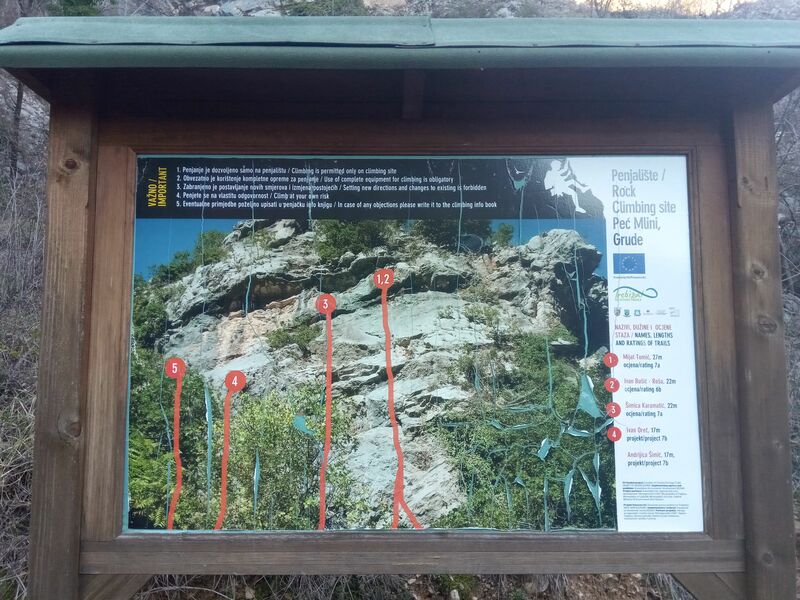 So the Ravlića cave site was first attracted by Dr. Borivoja Čorić and Dr. Zdravko Marić. Ok so why is this cave important? 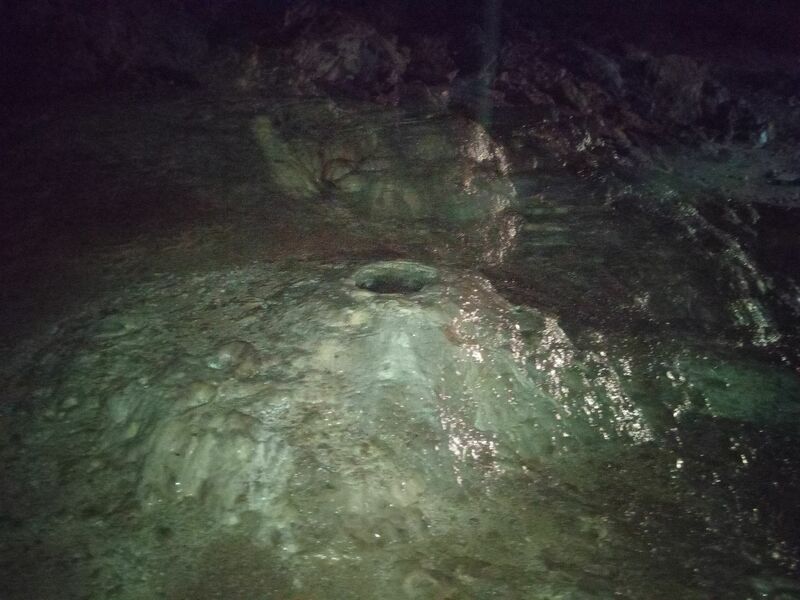 According to my information, Ravlić cave was partially archaeologically explored and described by the archaeological museum of Bosnia and Herzegovina. 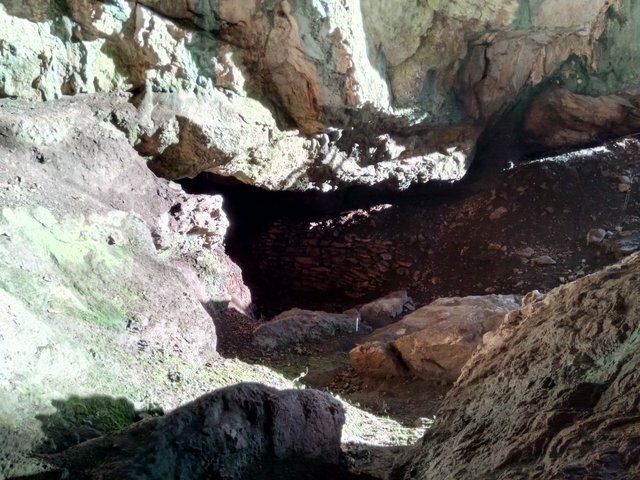 In the relatively recent past (history recent like 5-6 thousand years ago), and after cessation of water sourcing from the cave, this spacious cave has been inhabited since the earlier phase of the late stone age to the bronze age. There were occasional people from the middle ages there. The last ones that served it were the "Hajduci" (Peasant irregular infantry they have reputations ranging from bandits to freedom fighters depending on time, place, and their enemies.) 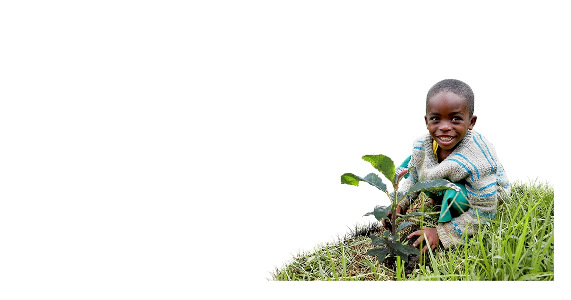 of this region from the 18th and 19th centuries. 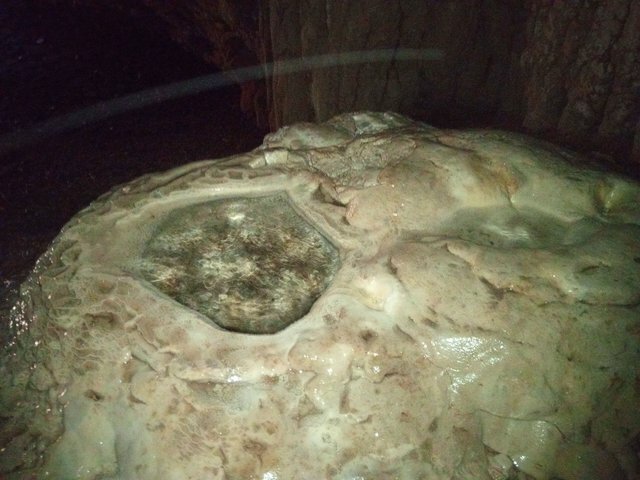 Ravlića cave in "Peć Mlinima" in Drinovci is one of the most important prehistoric sites in Herzegovina, and it is the only one that gives a complete cross-section through a very long period of time since the beginning of the Neolithic (the late Stone Age, 6,000 BC) until the end of the early Bronze Age (1,500 BC), which is rare in the wider area of the eastern Adriatic coast and hinterland. Enough of history my wife and daughter got here. So where is the entrance? My navigation and map say it has to be here. Even tho the entrance is width 27 m and its height at the maximum is about 10 m it was pretty hard to find. 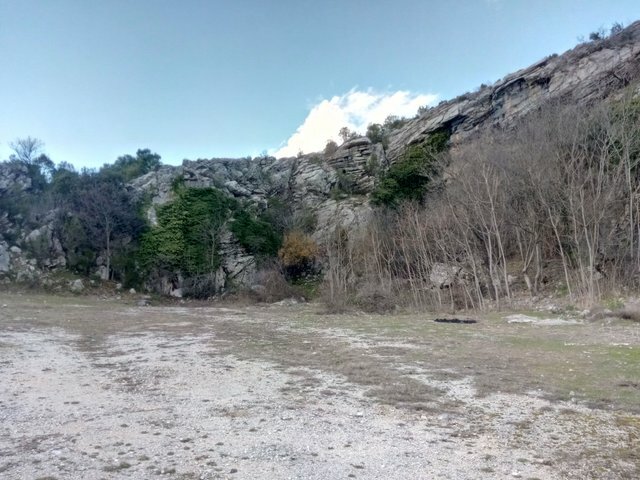 Panoramic standing on entrance rocks but my phone camera have trouble focusing because of light. 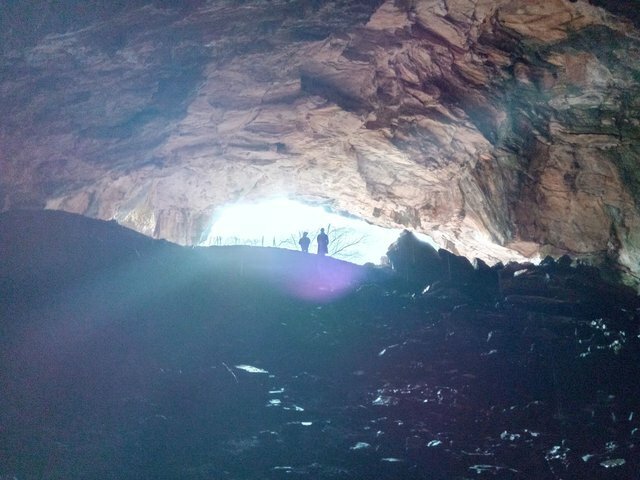 The Ravlić cave is facing south so that during the day the front interior of the cave is flooded with enough sunlight. 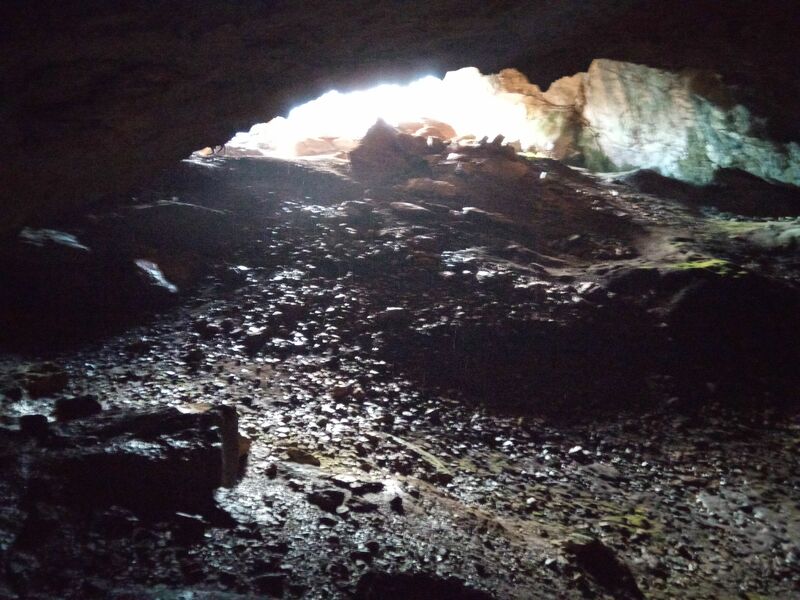 The front part of the cave is exposed to sunlight and warmth, so this dry part of the cave prospect is beneficial for a longer stay of people. And here is the evidence of that. Even my daughter constated that this is a cozy place. Need to go further down, and we have a couple of chickens in this photo. 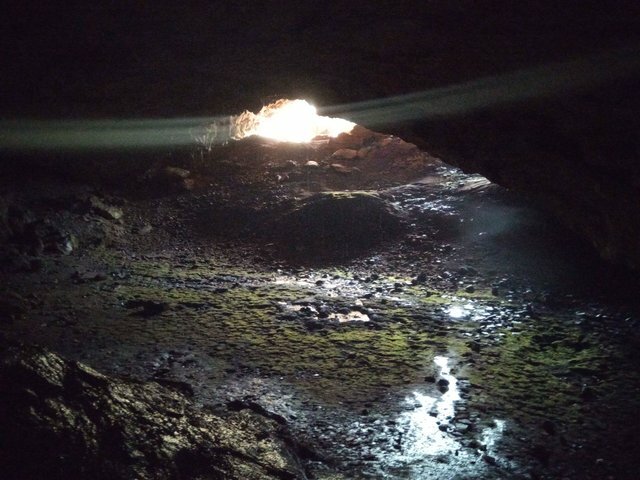 They stated that I'm insane and that there is too dark to go down there (I forgot a flashlight). It is dark here so my camera stopped to take good pictures. I hope you will get a better perspective in video. The acoustic was pretty good but to record that massive tone that cave is producing you need a professional equipment. It was like group singing. I sound a little bit od because I'm Croatian, and we sound a little bit like Russians. I turned on the flash but that wasn't so good but here are some of the good (read: not so bad) ones. 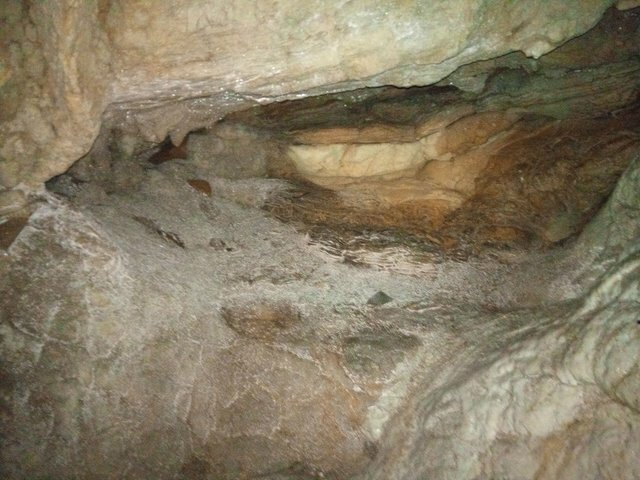 The influence of water and its long-term dripping over time through small cracks on the ceiling of the cave, creates different limestone forms, most of which are stalactites and oysters here. 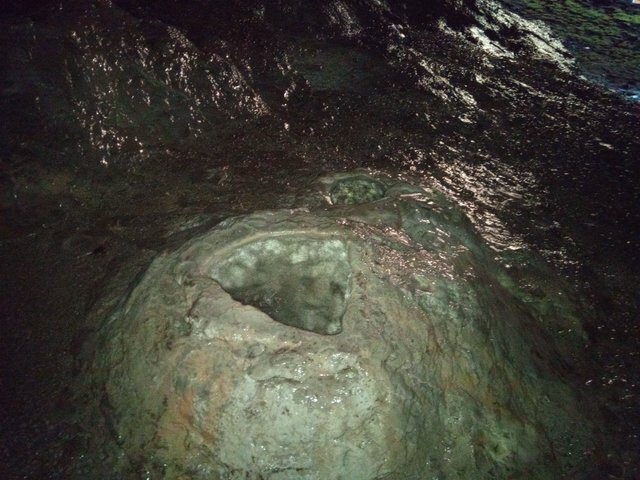 Excretion of the limestone mass on the rocks of the cave creates a sige. 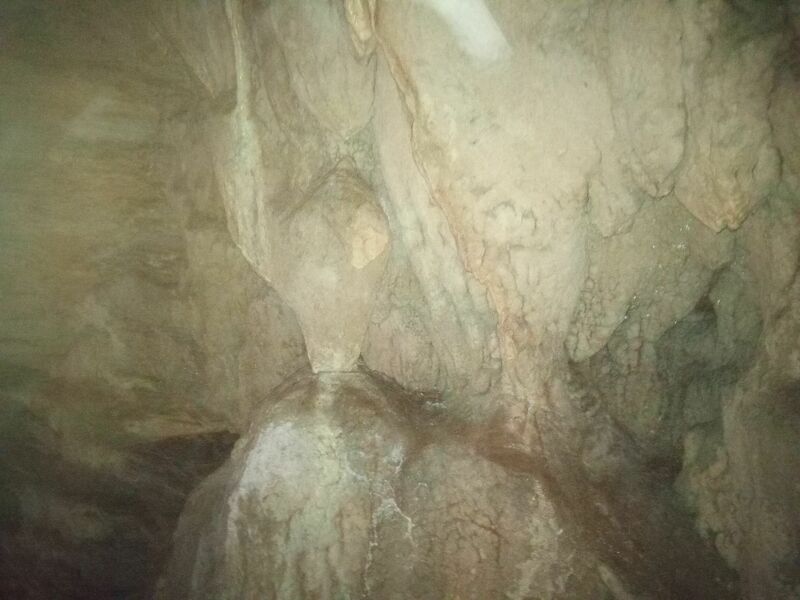 One sige that goes beyond the ceiling is called stalactite and occurs in very unusual forms. Also, on the cave walls, by depositing limestone, they create unusual creations. The sun is strating to fade time to go up. I feal so smal here. During research campaigns a lot of handmade tools (blades, scrapers, and arrows) and bone items were found. The ceramics are made of purified soil, all the dishes are painted with reddish, black and gray shades of color. Molds in the style of impresso-culture are made by stamping and engraving. From the period of the younger neolithic vessels, the vessels have thicker walls, larger dimensions and iron. 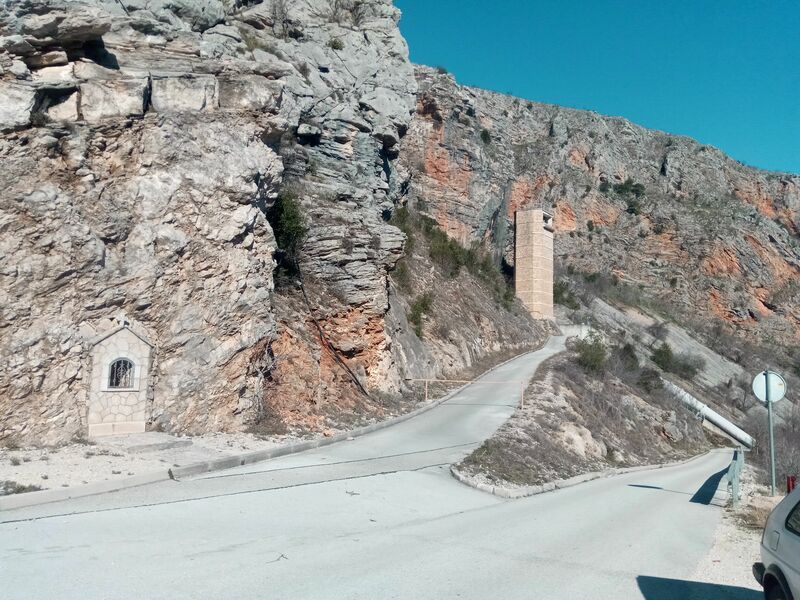 In the copper and bronze age there are pottery of different cultures - Hvar and Cetina culture. It was found that there were more simple fireplaces. 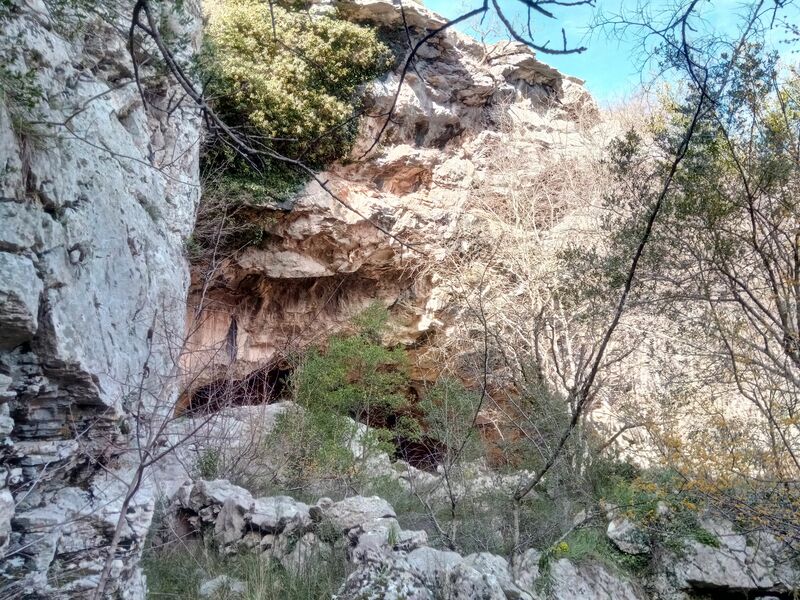 Judging by the remains of bones of goats, sheep, wild pigs and deer, the inhabitants of the cave were hunters and cattle-breeders. The image that have surce underneath them are property of "Hercegovački arheološki portal"
Thanks for this awesome bot. Thank you for your great tool. But it seems to be some kind of problem. This post hasn't shown anywhere on the map. Heya, can you try to remove the inner brackets in the code and add the code again? Those brackets might have caused an issue whilst adding your post to the map! Maybe it was some glitch in the system. Now the post is visible. Thanks for honorable mentions. Just to correct you, and by the way really good post the photos are amazing. 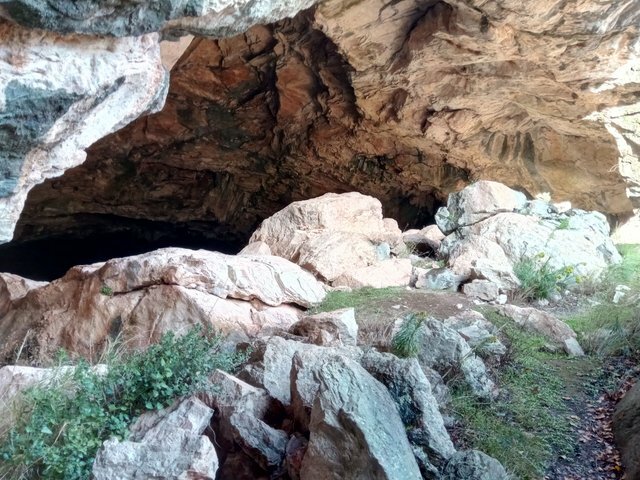 Crvena stjena cave in Montenegro is one of the best caves showing stratigraphical evidence from the Paleolithic (180 000 years ago) to the middle ages. 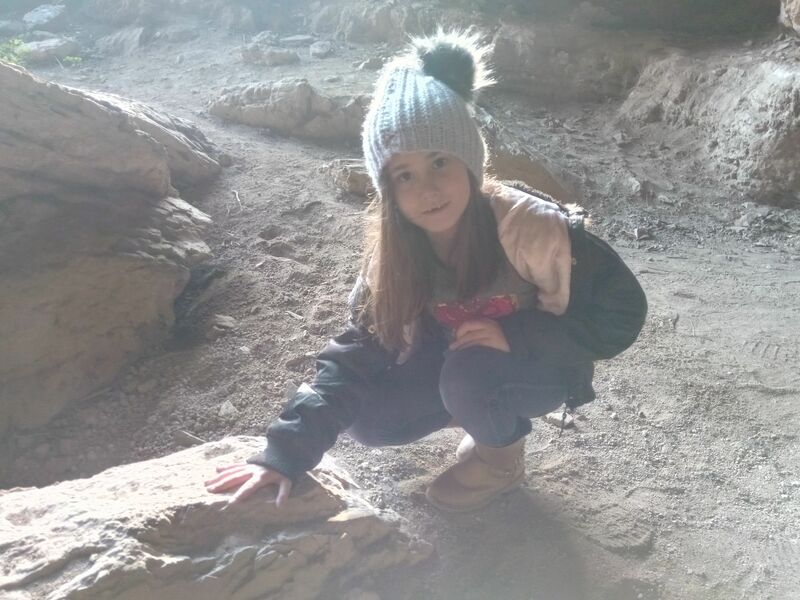 Ravlića is important also in archeological sense :D Once more great post dont want to come over as a know it all. Yea, this is "one of" I didn't say it was the most important. And yes you are right about Crvena stjena. I can see you are in scuba diving that is awesome. Have some friends maybe you already meth them from SEK Vipera. Thx for the thoughtful comment. Thank you @drotto and thanks to @banjo. Next time spell 'talking' right.